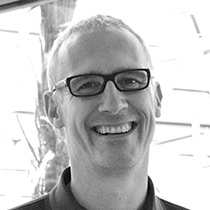 Anthony Dunne is professor and head of the Design Interactions department at the Royal College of Art in London and a partner in the design practice Dunne & Raby. His work with Fiona Raby uses design as a medium to stimulate discussion and debate among designers, industry, and the public about the social, cultural, and ethical implications of existing and emerging technologies. He is the author of Hertzian Tales and co-author, with Fiona Raby, of Design Noir and Speculative Everything. Their work has been exhibited at MoMA, the Centre Pompidou, and the Science Museum in London and is in the permanent collections of MoMA, the Victoria & Albert Museum, Frac Ile-de-France, and Fnac. Dunne received the Sir Misha Black Award for Innovation in Design Education in 2009.